There is more to dressage competition than the ability to create a good pattern. 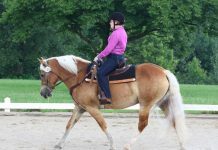 Correct basics, a proper seat and a display of good horsemanship can go far to impress a judge. However, you can also leave a bad impression, perhaps even impacting your scores by accidentally (or accidentally on purpose) irritating a judge. There are some common pet peeves in the judges’ box, and three top judges tell us theirs. “Riders that give the horse conflicting aids and then are unhappy with their horses because of a poor performance really bother me. When I see a rider pulling on the reins and kicking or hitting the horse with a whip or digging with the spurs, I feel very sorry for the poor horse. What also gets my goat is when riders are not prepared to ride at the level they have chosen to compete. 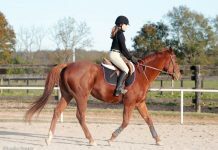 I would love to see riders prepare their horses for the next movement by riding correct corners, and using smooth, effective half halts for transitions. “Riders should remember that dressage isn’t just about making a pattern. If they seem more concerned about where to go then how to get there, I get irritated. There is also a trend for fancy, gaudy things like bright saddle pads, spur charms and decorative browbands. I think money is best spent on classical styles or purchasing good riding instruction. The salute is also important because you are addressing the judge for the first time. Learn how to do it correctly and keep the inventive or dramatic salutes out. They’re never impressive. I also wish that riders who can’t sit the trot would rise when there is the option. “Riders who create inaccurate figures because they haven’t bothered to ride in a real arena are top of the list for me. Sometimes riders will appear to have never seen the test before and rely on the reader, in hopes they can just figure it out. And when they go off course, they think I will be amused. “Appearance is also a big issue for me. Any rider can look tidy and clean. I think everyone should try to look their best and groom and braid their horses and clean their tack. It’s a matter of respect and also how they feel about themselves and their performance. I agree with you. Conflicting aids are very unkind to the horse. And getting upset at your horse is simply bad sportmanship! Remember ‘a poor horseman blames his mount’. I Totaly agree with Judges Maryal Barnett and Janet Brown. I think that Useing too harsh aids is horible. Expesally for the poor horse!!! I also agree that it is best, to look your best. Althought I would definatly have to disagree with Judge Lois Yukins about having brightly colored saddle pads!!! I personally think that they make the competitions muck more fun!!! I think that BRIGHT BLUE looks the best on all horses. I also know that shoes are the worst thing you could put on a horse!!! The judges are absolutly right. I ride in training lever tests as a junior and I have seen many of the mistakes that the judges list here. As a rider it is anoying to go to a show and feel like you got your ribbon handed to you because the other competitors were not prepared. When I go to a show I want to be placed based on the number of GOOD riders that I beat, not because the others made stupid mistakes. I believe all the judges are right on. Especially about using cruel methods to get the horse to listen. The article about bright saddle pads and decorative items, while they make each pair look unique, I think they’re right. The idea is to show how well you and your horse trust each other and perform, not which rider made their horse stand out the most. I agree 110% with all 3 judges’ comments. There is no excuse for not knowing a test(I never use a caller & it’s not allowed in Eventing),not knowing the dimensions of an arena, or being well turned-out. I try to school a bit above the level I’m competing at- it makes it easier for the horse as well as me. And horse abuse is never acceptable!The whole article in “Horse Illustrated” was a very good one. And hopefully we can get rid of all the “bling” that’s seen in the rings these days. Ugh! Note: Diann is in VA, not UT! This article really helped me understand what and what not to do. I have a Dressage competition soming up and I thought this was handy to know. Thanks! This is a very, very good article. I am in wholehearted agreement. Totally understndable. I would like to compete in dressage, so now I can look at this artical. I think I’ll skim through it again. Neat to hear som of the judges peeves. This will really help me during all shows including the dressage show that i will be going to this weekend! The hardest part for me is not talking to my horse! I like to praise them out loud and reassure them that they are doing well. I don’t know how some people can get so impatient with their horse like that. 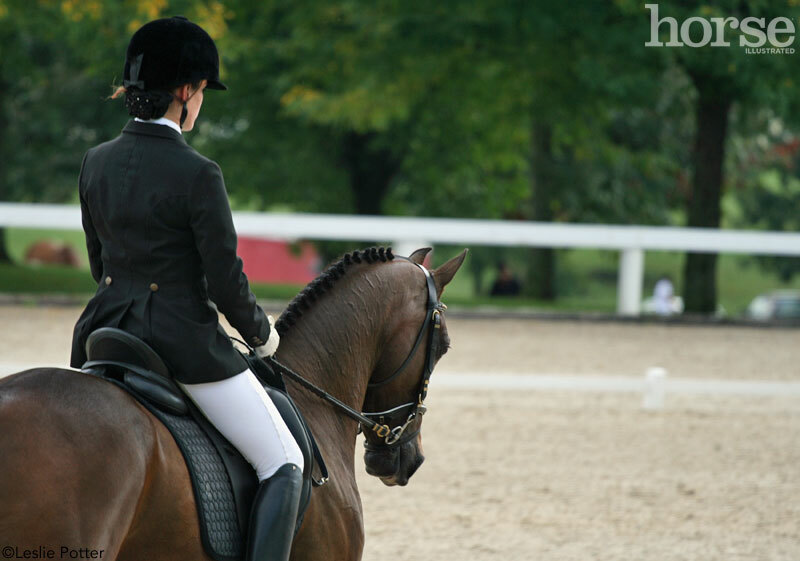 Dressage is harmony, as any equestrian sport is, and a team effort. If the rider is using muscle power to handle the horse, there’s a problem. I suggest those riders to take a few horsemanship reviews and see how much better they can do if they take the time to remember that their horses are as alive as we are. ok, i believe that i have ridden in front of all three of these judges and found them to be fair, and just as important, helpful. BUT- one is peeved because a rider “hasn’t bothered” to ride in a standard size arena? well-not everyone has has access. or a trailer. please believe that we do the best we can, with limited time and funds. another doesn’t like “bling?” i am not fond of a lot of it either. but, well, it’s legal. i’m glad you can put it out of your mind while judging. finally-braiding? yes, i braid. but i hate it and i wish that there wasn’t so much peer pressure(and now judge pressure) to do it. a well groomed horse with a neat mane looks just fine. and the rider didn’t have to pay someone, or get up at 4 am to struggle with braids. which most horses HATE and try to rub out anyway. I am a judge in Australia and we use the same tests as the US. I agree with most of the judges pet peeves. Learn your test! Never be harsh, cruel or lose your temper with your horse. Presentation? Clean, neat presentation shows you care. As for bling or a bit of colour, I don’t mind it at all and it certainly will not affect your horses way of going. I have had lessons with top international riders who encourage the use of voice! 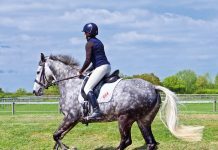 A murmured “good boy” or “steady” to settle or sooth your horse is unlikely to draw the attention of the judges, while “clucking” to enhance your leg aids is more likely to draw attention and shows your horse is not reacting well enough to your aids. My personal pet peeves, and I would really like a stamp made up because I see it so often, is riders who show lengthened strides or medium paces, but then do not show a transition back to the working pace. There is generally a separate mark for the transitions and the rider just throws away marks by not showing one in and out of the lengthened pace, it also prevents the judge from seeing if the horse is showing the desired tendency to show engagement and an ability to shift the weight back to the quarters. My other pet peeve, if your test allows you to show rising trot, please make sure you are on the correct diagonal :-). Serpentines and circles do not go into the corners in lower levels, at all other times, ride into the corners! So sick of Judges “holier than thou” attitude. It seems to me that many Dressage Judges forget that they are getting paid and not doing a “Public Service”. So sick of the frowning negativity that comes from the box! Either get some positivity, kindness, and a smile, or get out! I have appreciated most judges comments as helpful, constructive and positive, as a competitor I hate the word fussy. I know the horse is tossing it head and running through the aids, please use a better word, more descriptive. I also love to braid, I will even braid for a lesson at home, I think the young horses need to get used to the process, part of the obedience expected . We live in the north and do not trim tails so I also brade tails. I can get an obedient horse braided in about 25 min, mane and tail, not to Olympic levels but 14 buttons and a good tail.